Winnipeg/Beijing | Reuters — A political dispute between China and Canada over the arrest of a Huawei executive is slowing canola shipments through Chinese ports and causing some importers to hesitate to buy from their biggest supplier, according to interviews with a dozen traders. 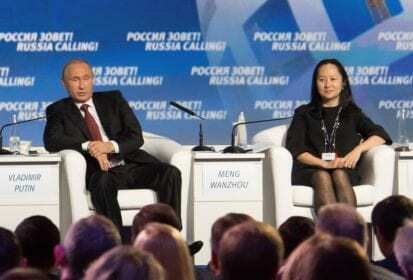 Since Canadian authorities arrested Huawei chief financial officer Meng Wanzhou in December for extradition to the U.S., China detained two Canadians and escalated a drug smuggling sentence against a third Canadian to death, moves Ottawa has described as deeply concerning. China buys some $2.5 billion of Canadian canola per year, and a slower sales pace would be another hit to exporters, which include Richardson International, Viterra and Cargill, in a year when Prime Minister Justin Trudeau faces a tough race for re-election. A second cargo that arrived in mid-January had not been cleared by the end of the month. A dozen traders, some with direct knowledge of sales in Canada and China, and others in the U.S. who monitor sales, said the shipping pace has noticeably slowed since Meng’s arrest. Total exports of Canada’s most recent canola crop are down seven per cent year over year from August through Jan. 27, according to the Canadian Grain Commission. Chinese customs data showed that China received 347,949 tonnes of Canadian canola in December, higher than the same month a year earlier, reflecting earlier sales. China relies on Canada to supply more than 90 per cent of its canola imports. But Beijing has imposed barriers on these shipments in the past, giving reasons such as concern about fungus and foreign material in cargoes. — Reporting for Reuters by Rod Nickel in Winnipeg and Hallie Gu and Dominique Patton in Beijing; additional reporting by Michael Hirtzer in Chicago.